Vapor IO, the start-up best known for its cylindrical rack arrangement known as the “Vapor Chamber”, has announced a package to optimize small data centers running unattended at the edge of the network. The company also has a deal to supply Vapor Chambers to Centrepoint Verne of the Czech Republic, for a 150MW data center near Prague. 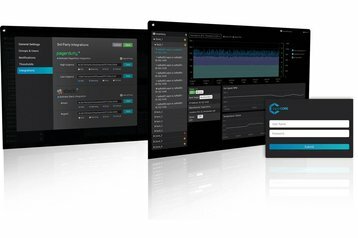 Vapor Edge combines existing Vapor IO technology with new software to allow fully automated lights-out remote micro data centers, based either on conventional racks and rows, or else on the circular Vapor Chamber. The management software will allow workloads to be rescheduled onto new machines, onto different edge nodes or move them into centralized data centers. Centrepoint will be combining the Vapor Edge product with its centralized Vapor-based data center, known as Datahub Verne. Vapor Edge is based on hardware which adopts the principles of the Open Compute Project (OCP). It can be deployed using conventional racks and rows, or using The Vapor Chamber, which Crawford says is more suited to edge environments. 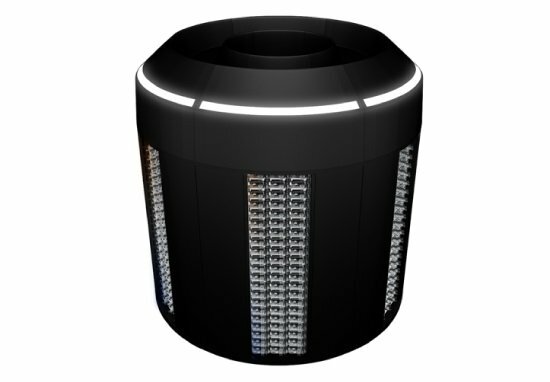 The Vapor Chamber arranges racks in a circle, providing a self-contained unit with an efficient “chimney” effect for cooling. ”The Vapor Chamber is tightly integrated with Vapor Edge software, and is ideal for use in more hostile edge environments, such as in cell towers and on rooftops,” said Crawford. The Edge product is based on Vapor Core and Compass software, which can also be applied to conventional rack arrangements. Vapor Core handles remote monitoring and management of centralized and edge servers, taking in hardware telemetry in real time, and providing a view of edge capabilities. Vapor Compass provides automated command-and-control policies to manage workloads in distributed edge environments, making real-time optimization decisions, including rescheduling workloads between edge nodes and centralized data centers, according to factors like latency and cost. Vapor Edge can work with public clouds, and support private clouds such as OpenStack and VMware Vsphere, as well as with container-driven systems, such as Mesosphere’s DC/OS and the Cloud Native Computing Foundation’s Kubernetes. Centrepoint Verne is building a 150MW data center near Prague called Datahub Verne which will is intended to provide low-latency edge capabilities to Prague, Frankfurt and the surrounding areas.